Planning a trip before the winter ends? Don’t book anything without getting some inspiration from this list of the best places to travel in February 2019! Finding a good destination to visit in February can be tricky – you might be planning to avoid low temperatures, rainy seasons or busy school holidays. You could be looking for the best places to honeymoon in February, or trying to discover the best places to travel in Europe in February. Either way, we’re sure you’ll find somewhere amazing to spend it! It might be the shortest month of the year you can be guaranteed that there’s no shortage of destinations when it comes to holiday planning. Don’t forget too that in the southern hemisphere, it’s still summer so you can stay put and enjoy the cold weather or escape and chase the sun! Hotel prices in February can be lower than usual because of it’s nearing the end of its season, so you’ll get better value for money on accommodation and still enjoy beautiful holiday spots! Make a cup of tea and settle down to read this list of bucket-list worthy destinations of the best places to travel in February 2019, put together by some fabulous travel bloggers. READ MORE: The Best Places to Travel in March! Click on the table of contents above to browse through the destinations and pick one that interests you. You can jump straight to the information, or you can take your time and scroll through the whole list to find somewhere inspiring to visit this year! Don’t forget that you can click through to our favourite accommodation booking website too and take a look at the best budget rooms, fancy apartments or even cosy beach huts. We’ve also added in some exciting tours that you can take part in if you like to organise and book ahead! By far, one of the best places to travel in February is New Zealand – it’s my favourite month to visit the country. That’s when the weather is perfect throughout the whole country! It’s the end of summer, so it’s warm and sunny, and it isn’t too rainy. The best thing, though, is that school has started again so it’s not high season anymore, being a little bit cheaper and less crowded – well, at least if you make use of school hours. 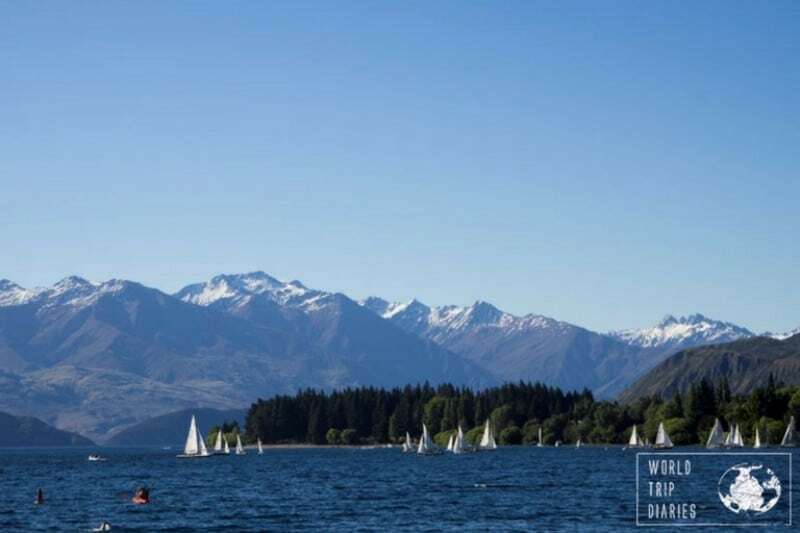 Try swimming in one our pristine beaches, kayaking with fur seals in Kaikoura, doing SUP in the stunning Lake Wanaka, snorkelling in Bay of Islands, rafting in Queenstown, or crossing one active volcano at the Tongariro Crossing. Try having fish and chips in one of the stunning parks in the country, too. Just remember to bring an insect repellent because sandflies are wild during that time of the year and something to protect you from the sun as New Zealand sun burns a lot. See more from World Trip Diaries on Facebook and Twitter! Patagonia is an amazing place for adventure travelling; hitch-hiking the Carretera Austral, hiking famous Torres del Paine, kayaking on General Carrera lake or walking on a glacier there are so many options to make your trip unforgettable! 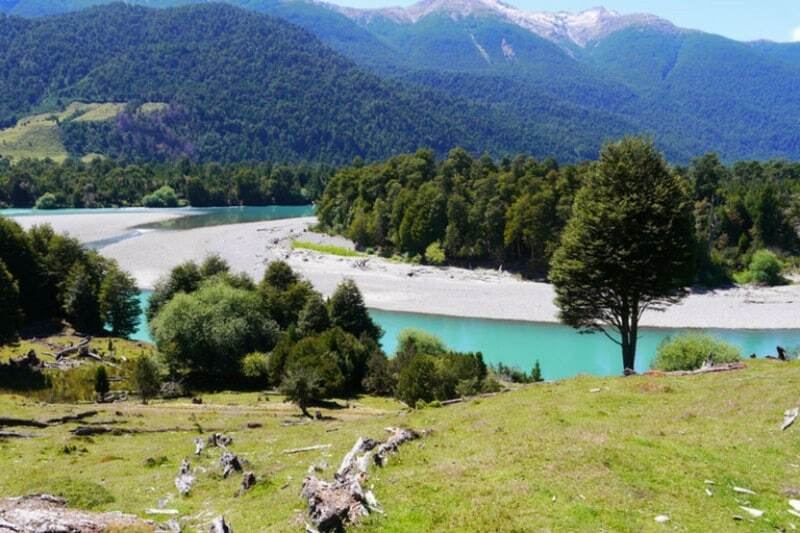 February is the perfect time to explore Chilean Patagonia, the weather in the regions is still nice and Chilean school and university holidays are almost over. Why is it good to travel in February? Because for local students travelling Patagonia is a very popular way of spending summer holiday and there are hundreds of them in the campsites, on the trails or on the road trying to get a ride. Too much competition if you’re planning to hitch-hike around and too crowded and busy in the campsites. What kind of adventures and activities can you expect from Patagonia? 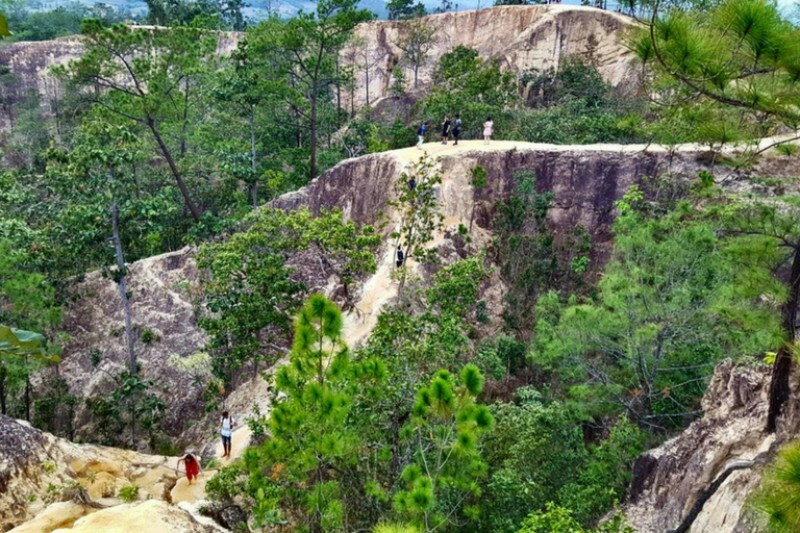 First of all hiking, there are many options from short day hikes to more challenging and off-the-beaten-path multi-day trails. Some of the best hiking spots are; Pumalin park – many day hikes; Cerro Castillo circuit – 4-day hike; Queulat park – several day hikes; famous Torres del Paine – 1 to 8-day hikes; O’Higgins glacier – unspoiled 4-hike to the glacier. Cycling Carretera Austral or a part of it is another popular way of travelling here. It can be tough due to unpredictable weather but gives you an opportunity to experience Patagonia in a very different way. See more from the Stingy Nomads on Facebook and Instagram! The island of Palawan in the Philippines sits in the sweet spot between touristy and completely off-the-beaten-path, with white-sand islets and an underground river in the centre, and strange-looking karst islets and wreck diving in the north, all known only to a relatively small number of tourists. Most visitors immediately rush off to the island/beach town of El Nido as soon as they touch down, but a stay in Puerto Princesa should be considered: the city surrounding the airport is worth an extra 2-3 days’ stay, with island-hopping off Honda Bay and an amazing food and craft beer scene to boot. Five hours’ drive north from Puerto Princesa, visitors will come upon El Nido – a beachside town set in a limestone landscape that gives rise to sharp-looking mountains behind, and an archipelago of surreal-looking islands nearby hiding beaches and coves. Go island-hopping or kayaking in these waters, and pretend to get marooned on a desert island of your very own. 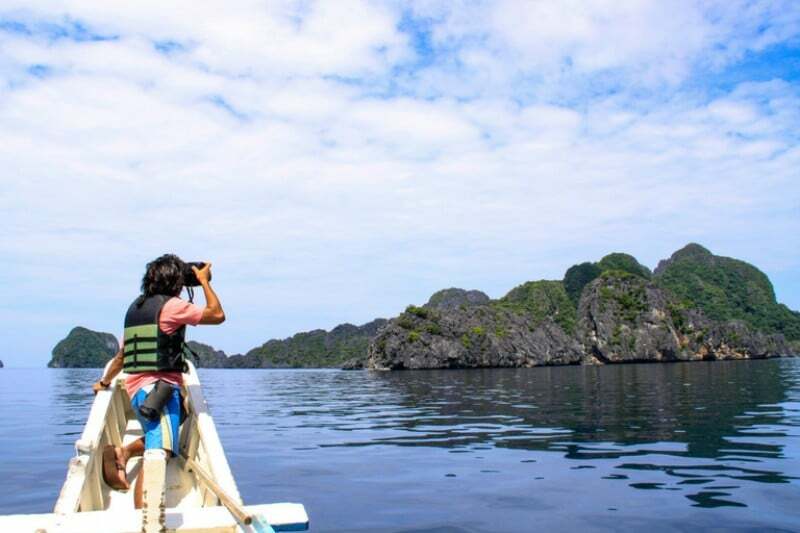 Finally, you can catch a ferry from El Nido (or take a plane straight from Manila) to visit Coron and its pristine beaches and its wreck dives (left over from World War II). See more from the South East Asia Time Traveller on Twitter and Facebook! Spend the weekend in Paris for Valentine’s Day? It may sound cliché and you may be skeptical but in reality the City of Love is the best place to visit in February with that special someone. Paris is known for its patisseries and boulangeries and they go all in for Valentine’s Day with sweet (literally) heart-shaped treats. Le Petit Palais, home to the City of Paris Museum of Fine Arts, is free to visit and worth stopping by for a taste of opulent Beaux-Arts architecture. Take a break at the museum cafe for a romantic glass of wine and petit fours. Fontainebleau, home to French royalty, is an easy day trip from Paris. Imagine that you and your partner are visiting aristocrats and sneak a quick kiss in these sumptuous surroundings. Watching the sunset over the Eiffel Tower is a classic Parisian experience and the perfectly romantic way to end your Valentine’s Day adventure. There are also some incredible hostels in Paris for to suit every budget, so you don’t even have to spend your life savings to enjoy the city! What better way to spend a February vacation weekend with the one you love?! See more from Sidewalk Safari on Pinterest and Instagram! Pai is a backpacker’s haven of activities. If you can think it, they’ve got it. From quiet out-of-town guesthouses to party hostels; authentic Pad Thai to westernised burgers; peaceful sunset on the canyon to an all-night jungle party. Pai really has something for everyone. Why not book an all-day tour for only £12 and see some of the best sites around Pai. You can soak in the Sui Ngan Hot Springs and let nature embrace you. Walk in the monk’s footsteps across the Holy Bamboo Bridge to reach his temple beyond the rice fields. Grab lunch for less than a £1 at the nearby bamboo restaurant. Feeling brave? Join the local children as they slide down Mor Paeng Waterfall into the waters below. Finally, end your day with an evening trip to Lod Cave and watch 80,000 birds fly home for the night. Quite simply, Pai is one of the most beautiful and active towns in Thailand. With so much to do and a style for everyone, it really is a must see this February. Find more great tips from Inspirational Discoveries on their website, Facebook or Twitter! If you are looking for one of the best places to travel February this year then Seychelles might be the perfect place for you. It is the closest place I’ve ever found to paradise – rightly earning its early nickname as ‘The Garden of Eden’. On the shoreline you’ll find idyllic, palm-backed beaches lapped by spearmint green waters, none of which would look out of place in a National Geographic article. Head inland and there are lush forests, national parks, secret waterfalls and wildlife so rare it numbers less than the people who accompanied you on the flight to get here. The food is super-tasty (and cheap!) 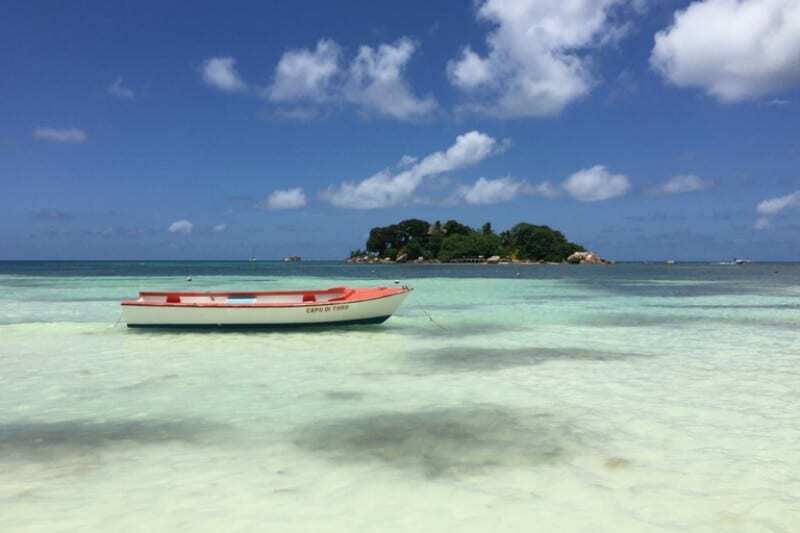 – a mix of the cultures that give Seychelles its creole identity – and the people so laid back that you’ll find some locations barely touched by the hand of modern life. February is generally one of the hottest months of the year, with average temperatures around 28 degrees and the end of the month seeing a drop off in the rainy season. This makes the conditions perfect to come along and put your feet up! See more from Ben Reeve on Instagram and Facebook! The United Arab Emirates (UAE), mainly the cities of Dubai and Abu Dhabi, have become a popular travel destination. It is safe, exciting, and there is a lot to see and do. While it can get extremely hot in the United Arab Emirates especially during the summer months of April/May to September/October it is very recommendable to pick a colder month. Travelling in February is great – it is warm, around 30 degrees during the day, while the heat is still far away, it is great for some cool beach days! Yes, there are some beautiful beaches in the UAE and in many parts of the United Arab Emirates you can wear a bikini (this is one of the questions I get asked the most). 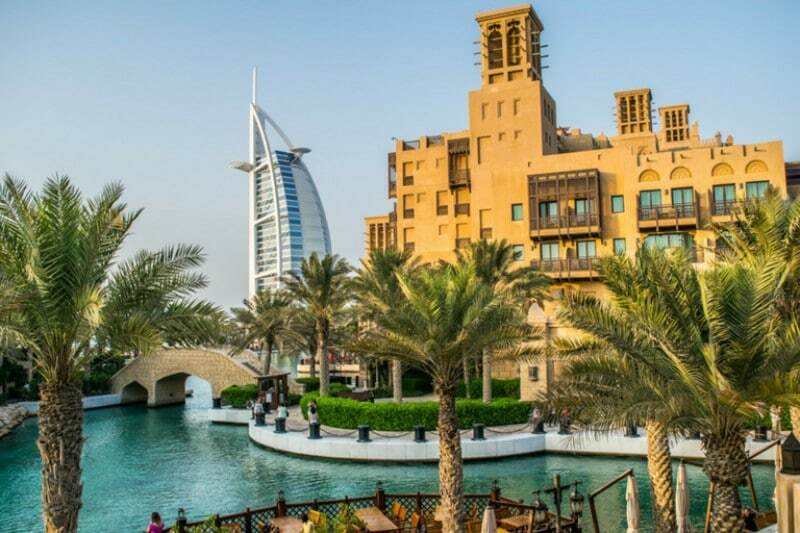 But since it is not hot you can also do some sightseeing – it’s one of the best places to travel in February because you can head out to the desert, admire the highest building of the world, Burj Khalifa, or explore the beautiful areas like Madinat Jumeirah or the Gold and Spice Souk. Whether you’re travelling to Dubai with kids, or you’re on a city trip to Abu Dhabi, you’ll find something awesome to do. One of the best places to travel in February is Austria. With it’s beautiful cities such as Salzburg, fairytale villages such as Hallstatt, and amazing ski resorts such as Obertauern and Bad Gastein, it makes for a perfect winter destination. If you visit Austria during this time a great trip would be to visit Salzburg for some historic and city experiences, then combine this with a visit to one of the nearby ski resorts such as Obertauern or Bad Gastein. Those resorts are huge with 100km of runs in Obertauern and a huge 208km in Bad Gastein. 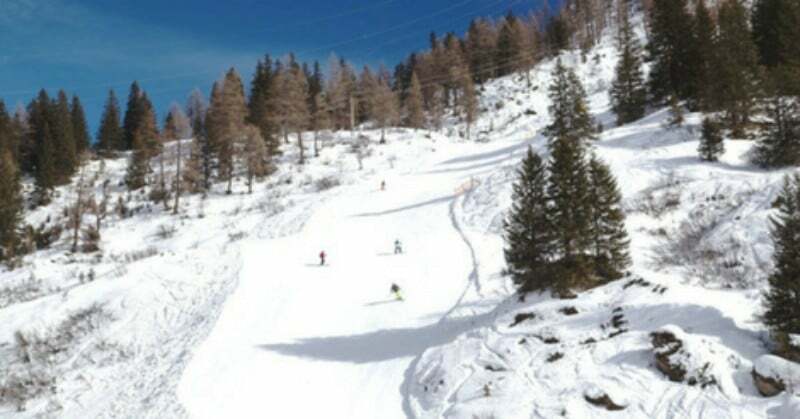 The snow is also fantastic with some of the best snow conditions in Europe, and should there not be snow then the resorts are fully equipped with plenty of snow canons. Another fantastic destination to visit is Hallstatt, which is a dreamy village built at the side of a lake into a mountainside. It’s also extremely photogenic and if you were to visit Austria in the winter and there’s snow, you’ll leave with tons of incredible photographs. See more from Travel and Destinations on Instagram and Facebook! February is the perfect month to escape the cold winter months to the hottest inhabited place on earth: the Danakil Depression in Northern Ethiopia. Boiling, chemical-filled lakes, fuming hydrothermal fields and vast salt lakes that create breath-taking reflections in the midday sun are just some of the otherworldly sights you will witness here. Walking across the sulphur fields of Dallol will make you feel like you had stepped into another world: green, yellow, red, white and blue rock formations with boiling and bubbling liquids are dotting the horizon. At night time, the lava lake of Erta Ale volcano lights up the sky in a calming orange colour. Everything here is connected to the hot core of our planet. 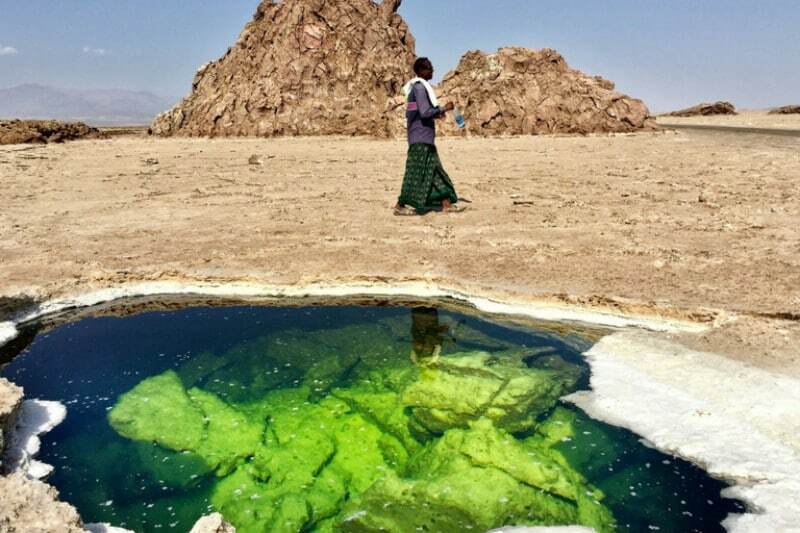 But, as inhospitable as it sounds, the Danakil Depression has been home to the local Afar people for thousands of years. Their main and only source of income is the sale of salt. Every day, a caravan of thousands of camels arrives at the salt plains after a seven-day march through the excruciating heat. Throughout the day, their backs will be loaded with blocks of salt and in the evening they will embark on another seven-day journey back to civilization. See more from 197 Travel Stamps here and on Instagram and Facebook! February is a wonderful time to visit Tasmania. The weather’s still great but you will miss all the crowds that visit during the busy holiday period between December and late January. There’s a lot more accommodation available and prices begin to drop. A trip to Tasmania is all about enjoying the great outdoors so the daytime temperature of between 20 and 25C means you are able to access parts of the country that can get cut off or are just plain freezing in the colder months. It’s a particularly good time to head out onto the hiking trails, such as the world-class tracks at Cradle Mountain or the Walls of Jerusalem. The vegetation comes into bloom and you’ll also be able to sample the delicious seasonal food that Tassie is becoming famous for. There are heaps of wildlife watching opportunities, if you’ve never seen wombats in the wild then definitely head to Tassie, they are everywhere! It’s still warm enough to go looking for wildlife after the sun goes down too, so keep your eyes peeled for those elusive Tasmanian devils. See more from Walk My World on Facebook and Instagram! READ MORE: The Ultimate Guide To Backpacking Australia! 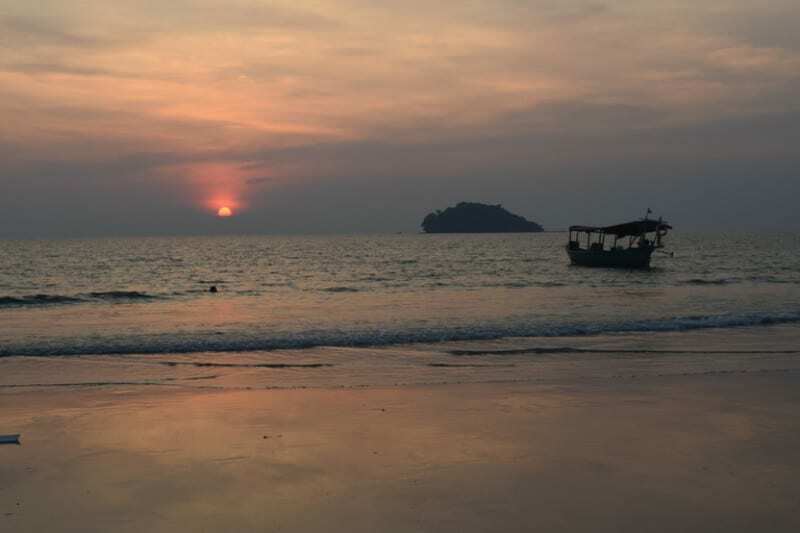 Koh Rong Island, Cambodia in February is nothing short of spectacular. The weather is hot but bearable, and at night it is a great temperature to be drinking on the beach at one of the many bars under the starry night sky. I would ensure you explore the whole island while you are there, as some beaches still have that “undiscovered” feel. One of them was even used to film the US TV show Survivor on, so you know you’re going to be staying in paradise. While you are there you have a variety of activities to do, from boat trips to fishing, snorkelling and of course just lazing on the beach. There’s accommodation for all types of budget from dorm rooms to luxury hotels. Each bar usually has some kind of happy hour, so check them all out to see the best offers each day. There is, however, sadly talk of lots of building development happening on the island in the coming years. 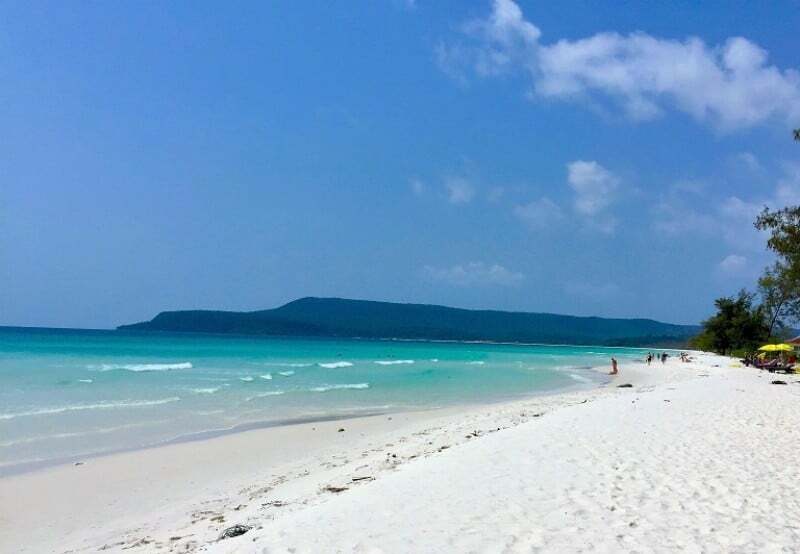 So visit Koh Rong while it still has the amazing vibe, and February is a great time to do so! READ MORE: The Ultimate Guide To Backpacking Cambodia! February – the month of love. Where better to visit this month than Fujiyoshida, Japan! Located at the foot of Mt. Fuji, this 25,000-people town boasts the best views of this majestic 3,776.24m active volcano. From Chureito Pagoda at Arakura Sengen Shrine to Kawaguchiko Natural Living Center, Mt. Fuji can be enjoyed with bustling city views or serene nature vibes next to Lake Kawaguchiko. You can even ride the Mt. Kachi Kachi Ropeway to the Bell of Tenjo where supposedly if you ring the bell facing Fuji-san, you will be blessed with good health and true love. And psttt, a lot of ryokans here also have outdoor onsens (hot springs) with phenomenal Mt. Fuji views. Fujiyoshida is definitely one of the most underrated destinations in all of Japan and highly worth a visit! 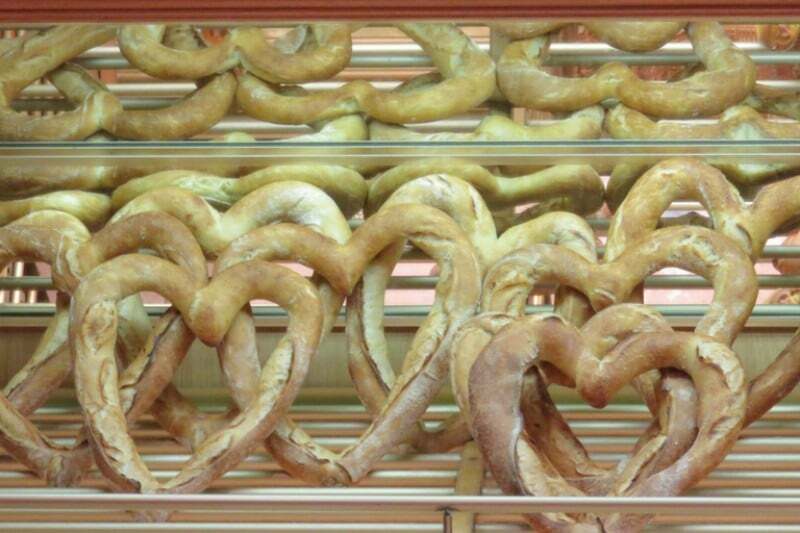 Be sure to add it to your Valentine’s getaway destination bucket list. 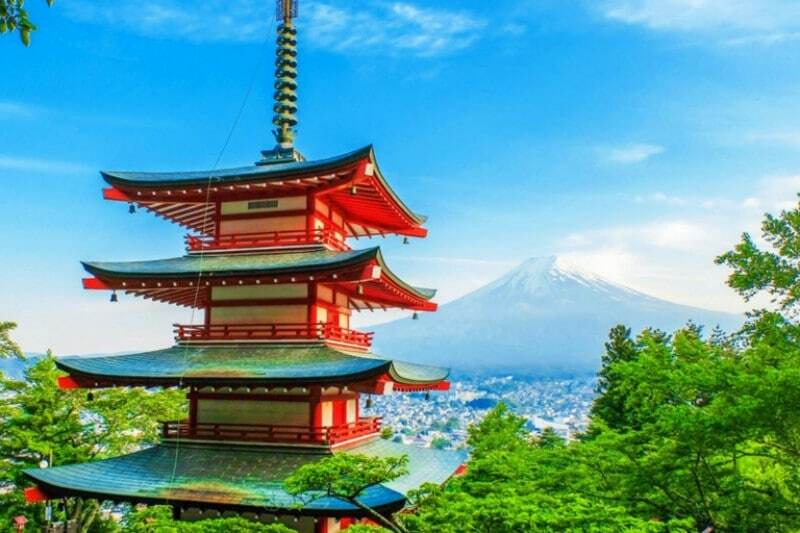 It’s one of the best places to visit in Japan in February so get there quick before everyone else books in! Budapest is one of my favourite cities in Europe. The Hungarian capital is an architectural gem on the Danube, home to gorgeous castles, relaxing spas and colourful streets. Budapest has a phenomenal coffee culture but also an explosive nightlife taking place in underground pubs and ruin bars. 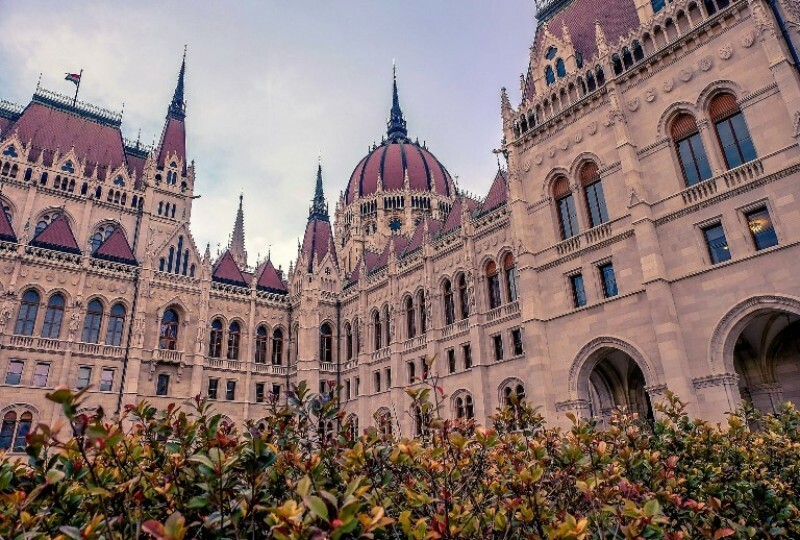 Having gained so much popularity recently, Budapest transitioned from a budget destination to a mid-range (yet still affordable) European city. Although a year-round destination, winters are harsh in Budapest which makes February a low season month. If you don’t mind the cold and are happy to photograph a picture perfect winter escape, then February is a fantastic time to visit Budapest as the prices will be much lower than in Spring. You’ll be able to spend less on accommodation and more on discovering the culinary sides of Hungary’s economic, cultural and financial hub. See more from You Could Travel! 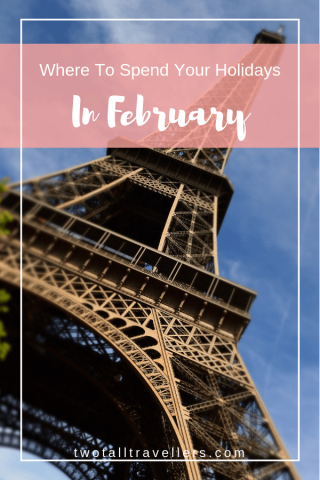 This round up definitely lists all of the best places to travel in February 2019! Are you planning to go travelling in February? Are there any other amazing destinations you’d recommend at this time of year? Let us know in the comments below! Thanks! There’s plenty for us to try in this list too, hopefully we can all get to see some new places this year. Good deal on New Zealand guys. We have a 4 week sit there starting in mid-March. Should be solid weather. We are in Chiang Mai now on a 7 week sit so the weather is awesome, although getting a little hot at the moment. Last year we went to Palawan and it was a fantastic trip. It’s totally half-inch to paradise as if your in another world away from busy cities. The people there was accommodating and kind. There are a lot of options of activities for family traveler. Thanks! Sounds like a great destination. I love the feeling of isolation, best way to relax. Hopefully we can be in New Zealnd this time next year! It’s on our list of places to go.